As a rule, the check-in starts 2 hours prior to departure and ends 40 minutes prior to departure, unless otherwise specified with the Carrier. 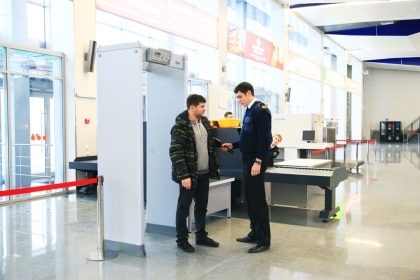 For the purpose of your personal security when entering the airport terminals you have to pass through points of inspection of passengers and baggage. All points of inspections are equipped with endoscopes as well as with hand-held and fixed metal detectors. 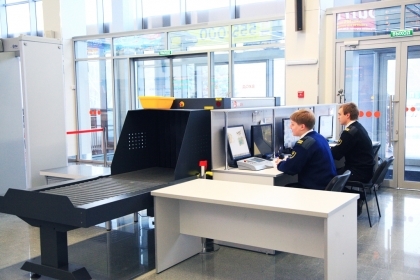 Employees of Aviation Security Service carry on the inspection of departing passengers. The public peace is controlled by employees of the line department of the Ministry of Internal Affairs. For passengers who are departing business class and economy class separate desks are provided. Passengers departing business class have a possibility to use VIP halls. For verifying information on the procedure of check-in and baggage handling please refer to your Airline Carrier. 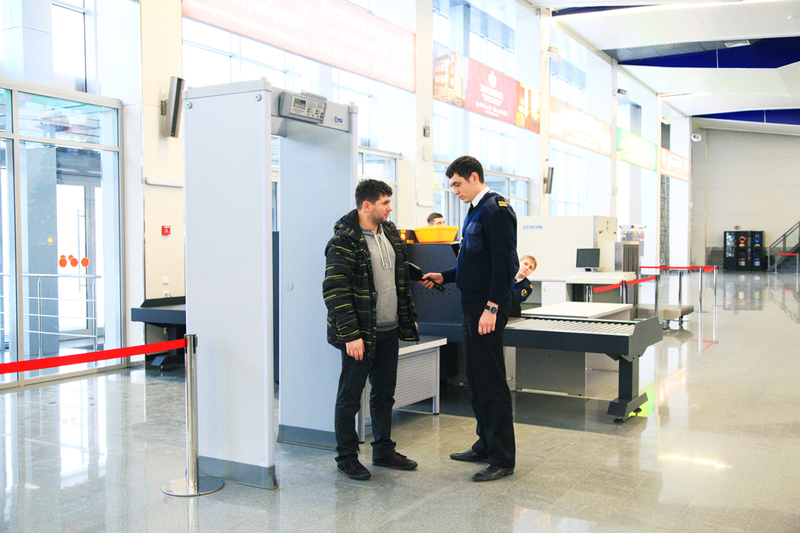 In the course of check-in and baggage handling you should show your ticket and passport. If you have an electronic flight ticket then you should show only your passport. Your luggage is handled only in your presence. After completing of the check-in and handling over of the baggage the passenger receives boarding card and baggage tags. In case of having excess luggage you have to pay for it. Please verify standards for the baggage weight and rules for the baggage transportation at your Airline Carrier in advance. After completing the check-in passengers go to the holding zone. After announcement of the boarding please go to the gate specified in the boarding card. Persons who need additional service go to the gate first.